Consumer Law Action Group provides legal services, legal advice and free consultations to stop foreclosure. Their attorneys stop foreclosure with bankruptcy and civil litigation, and help consumers in different areas of consumer law. Los Angeles, September 17, 2015 – Many people are still looking for ways to avoid losing their home in foreclosure. They start with notifying the mortgage lender, however, some people fail to realize that moving to court as soon as possible can be the better solution. After receiving a notice of default, the real challenge lies in locating and hiring a professional and experienced foreclosure attorney. 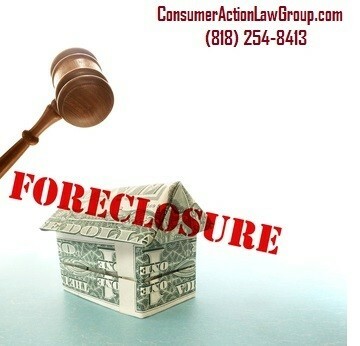 Consumer Law Action Group is a Los Angeles based law firm which focuses on stopping foreclosure. Their professional and experienced lawyers handle mortgage fraud cases, foreclosure, bankruptcy, and other claims such as auto dealer fraud. Consumer Law Action Group has been helping people to save their homes and stop foreclosures for years. Their attorneys help consumers facing foreclosure and credit card debt. Their lawyers are skillful and well experienced in foreclosure cases. They have helped hundreds of homeowners to stop foreclosure sales by filing lawsuits and bankruptcies. Consumer Law Action Group is dedicated to helping homeowners in foreclosure, sometimes stopping trustee sales within minutes by filing emergency bankruptcy petitions. The legal services provided by Consumer Law Action Group can help homeowners in more ways than one. Illegal foreclosure lawsuits can stop foreclosure and give homeowners a second chance to reach an agreement with the lender to work out a structured settlement. Bankruptcies give homeowners a second chance to catch up when payments are missed and get back on track with mortgage payments in a payment plan. Different foreclosure options have benefits and pitfalls. The foreclosure attorneys at Consumer Law Action Group are available to discuss pros and cons. They provide free legal advice to homeowners tailored to their specific situation. The foreclosure attorneys of Consumer Law Action Group stop foreclosure sales every day. In many cases, lenders make mistakes or break the California foreclosure laws when starting the foreclosure process. In most of the cases, time is of the essence. The lawyers of Consumer Law Action Group are able to move very quickly to file a lawsuit and stop foreclosure. Homeowners facing foreclosure cannot afford to wait for help from their lender. It is always best to call and discuss foreclosure options with an experienced lawyer that has a successful track record. The foreclosure attorneys of Consumer Law Action Group offer free legal advice to homeowners facing foreclosure. A borrower who receives a notice of default or notice of trustee sale has very little time to save their home. It is best to call and get a legal opinion as soon as possible.